If you have to question if a guy is into you, let me help you out and tell it to you straight…. he’s NOT. That shouldn’t even be a question because a Man doesn’t play games. He doesn’t say things like “you’re prefect, but right now is not a good time for me,” or, “you’re a great woman, I just can’t commit to you right now.” If the guy you’re seeing is saying any of these things to you…. run in the opposite direction and don’t look back. 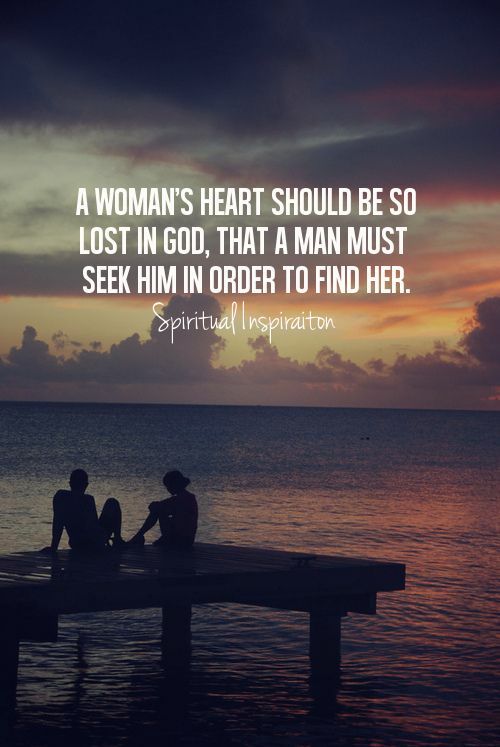 When you’re with a Godly man, a man that is pursuing God, there won’t be a question of when or what if. He’s waiting for God to bless him with his Queen and if you’re his Queen, he’s not going to pass that up. I can’t tell you how many times I hear girls wonder if the guy they’re seeing really likes them, or better yet… they don’t know where they stand with him. I’ll tell you where you stand…. NOWHERE. Know your worth ladies and know the difference between dating a boy and a man. You see a boy has no clue what he wants. He’s indecisive and the minute something better comes along (or sometimes anything else at all) he goes for it. He’s like a kid in the candy store. He just sees sugar everywhere! But a man knows that there are different types of sugar. Ones that are way too sugary, or some that have a bittersweet taste. He knows there are certain types of candy that have just the right amount of sugar level. Not too sweet, and no too bitter. He knows that if he tries to grab all of the candy, he’ll just end up with a stomachache or a cavity. He knows he can only chose one, and he’s confident in the one he chooses. I can just imagine the pressure of dating in our time, especially with social media. But a Godly man is going to be more concerned with his walk with Christ, instead of what the world is up to. Now I’m not saying he’s going be to a total nerd, or someone that is holier than thou, but you’ll definitely know the difference between a man and a boy. I know, I Know… you’re probably thinking Stephanie you’ve only been with Michael how do you know? Well I let God lead me. There was a point where Michael and I broke up for about a year during our dating period, and I did what any girl with a broken heart would do. I tried to cover up my hurt and go on as many dates as I could (or back then “talk” to whoever would give me attention) I was seeking to fill my broken heart with a man and not with God and let me tell you honey I quickly learned that was NOT going to work. I ended up even more upset than I already was. I compared every guy to Michael and none of them even compared. 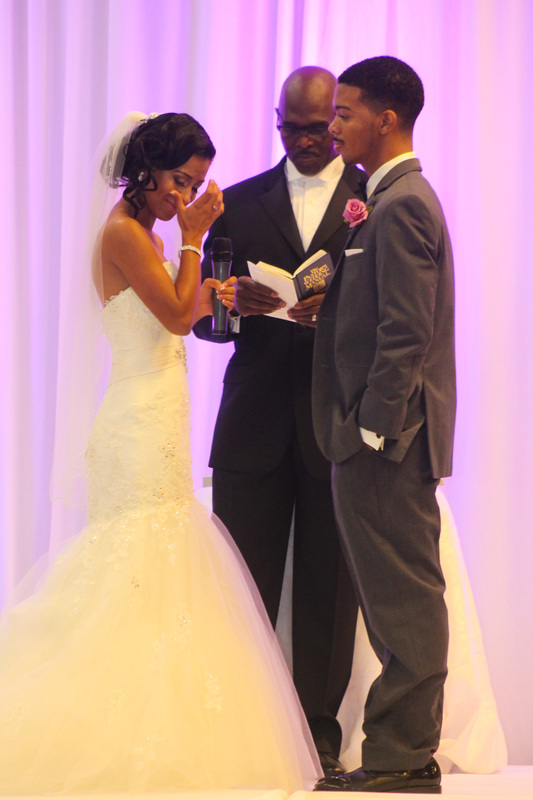 I was broken and seeking a man to fix my broken heart instead of God. I thank God everyday that he snatched me back into HIS world and not a man’s world. I dropped every random and started reading the Bible more and praying more. I surrendered my all to God. Does that mean I was perfect? Ha no! I was an 18-year-old girl who was so lost, but I knew for a fact I wasn’t going to be able to heal without my Lord and Savior. I needed HIM, not some random guy that just wanted to sleep with me. I say all of this to say, ladies if you’re waiting on your prince charming…stop! Surrender your all to the Lord. You must first build that relationship with Him to know how to properly love. To know what True love means. And let me also state that not EVERY guy you meet that checks off your “want” list is going to be the one. Not EVERY Christian guy you meet is the one for you. Don’t think the first Christian guy that comes into your life is your husband. Again, when it’s God’s plan… you won’t have to question it, you’ll know. I wasn’t waiting around for Michael to come back into my life. I filled my time with God and I truly trusted that whatever happened was God’s plan, not mine. So if Michael and I never got back together, I knew my husband was out there. I waited for God to reveal that to me. When Michael came back into my life, I gave him such a hard time. I wanted God to speak directly to my heart. After the first conversation we had in almost a year, I instantly knew he was where my heart had been and where it would always be. Ladies, surrender your all to the one that loves you unconditionally, God.